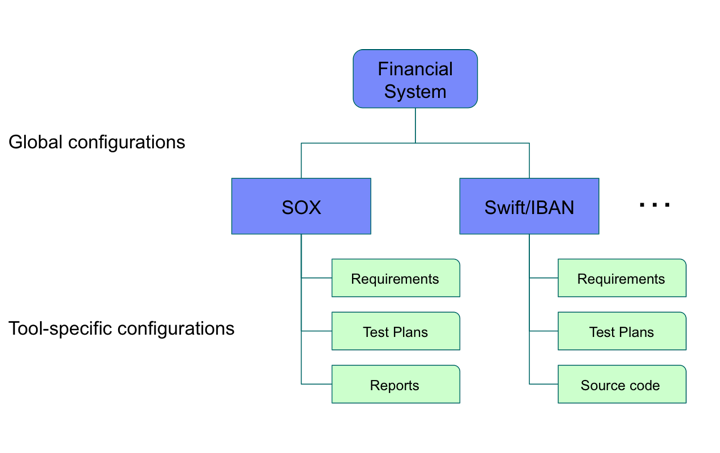 Can you imagine a software team working without a configuration management system? Could your team do any collaboration without versions, streams and baselines? Do you ever need to reverse a change that introduced a defect? If so, then you need to keep track of versions with a history of who changed what, when, and why. Do you want some of your engineers to be able to work on the next release while the current release is in final stabilization and testing? If so, then you need multiple streams of development. Do you ever want to produce a report on the changes in a new release? If so, then you need to compare the versions in a previous baseline to the new baseline, or to the current state of the development stream. Do you ever need to create a patch to a previous release? If so, you would need a baseline of that previous release, and a way to branch a new stream from it. Do you ever need to try an experiment, or make a one-off change? If so, you need to create a new stream, make some changes there, and then possibly merge the contents of that experimental stream into the main line of development. Software Configuration Management provides these and other benefits, such as improved collaboration and reuse. Wouldn’t you want these same capabilities and benefits in your other tools, including requirements management, modeling, and quality testing? DOORS Next Generation 6.0 and Rational Quality Manager 6.0 provide these features, just as Rational Rhapsody Design Manager has done since release 4.0. And now that you have configuration management in each tool, think about all these configuration management concepts but in the broader sense – the ability to do it across the lifecycle – for the overall combination of your requirements, designs, test plans, and more. Global Configurations, introduced in Collaborative Lifecycle Management 6.0, provides the ability to do just that – to keep track of versions, streams, and baselines of your entire system. Whether you are building airplanes, cars, financial systems, web sites, health care systems, or entertainment systems, configuration management is a key part of your path to success. good job! I really appreciate it! I love my RTC/CCM. I purchased the CLM bundle which includes Requirements and Quality. It wasn’t necessary for source control management, but CLM is nonetheless helpful for product management. RTC is free, and I encourage small shops to check it out. It’s not as simple as CVS, SVN, nor GIT, but it’s far superior in terms of continuous integration. RTC/CCM is kind of like a TFS and a subset of TeamCity combined. Global Config Management is a great Add-on feature on 6.0, but so many limitation, so please read twice before you plan to implement.